I just took them....I love flowers in my house. They bring life and beauty inside. 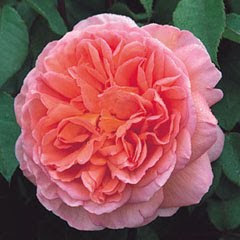 It is The Abraham Darby rose. It is a Cabbage rose. Picture from David Austin website HERE. You can buy this rose HERE. Linked to Mosaic Monday for the little red house. Mellow yellow Monday for Yellow Party, The Gypsy corner for Three or more. Spotlight yourself at So very Cheri. you are so right, we are surrounded by beauty and most of the time we don't even notice! Those flowers are truly lovely. My favorite flowers has to ne lilac and iris! Lovely flowers, my favorite has to be the the sunflower, it´s just so happy and beautiful. Hi Frenchy, all your pictures of the lovely flowers are pretty. I love Peonies and tulips! Came to your blog via the Duchess's blog at Rose Tea Cottage. You have a very nice blog, I am glad I came across it. I think more than your beautiful pictures of flowers I like the line "and seeing their eyes smile", eyes smiling make one happy. Hi Frenchy! Love your flowers. I did the same thing this morning, just taking flowers from my own garden. I love being out there even though it's small but as you say, there's beauty in nature. My favorite flowers are peonies and tulips and white !! lilies..........have a great day Frenchy !! enjoy life and the flowers...................i love them too .............hugs from me .. Such a cute collection of flowers. I love flowers. All these flowers are looking very beautiful but the firs one is looking awesome. I am going to put this flower on my garden. Your camera takes marvelous pictures! Those flowers are just beautiful:) I love peonies - they just make my day! I love your mosaic. Such beautiful flowers and lovely photographs. Really very nice flowers and great posting. Hi, Ive come by from UBP. You've a pretty blog. Lovely mosaic, all the flower photos are great. I love roses as well. Lovely, are they all your own flowers in the garden? You must be living in a fresh smell and beautiful surroundings of flower. I love it. what lovely pictures. I too like fresh cut flowers in throughout my home. I'm trying to create a flower cutting garden - so that in the gardening season I can have my own. My fav flower is the Orchid, but I have to have to grow them in pots - the weather in Canada is too cold to plant in the ground. "La joie de vivre!" Your rose is delightfull! I've stopped to smell the roses :0) Thanks for sharing such beautiful pictures. your beautiful photos made me smile. I love lilacs alas I can't grown them down here on the Carolina Coast. I had them when I lived in NY. I also love daylilies & roses & daliahs. Lovely flowers and beautiful pictures! Stopping by and enjoying your beautiful pics! Please come by for coffee or tea sometime! That is a breathtaking rose! Beautiful camera work! I love all flowers!! But that rose is spectacular!!! i love so many flowers, but my favs are daffodils and tigerlilies. love them! 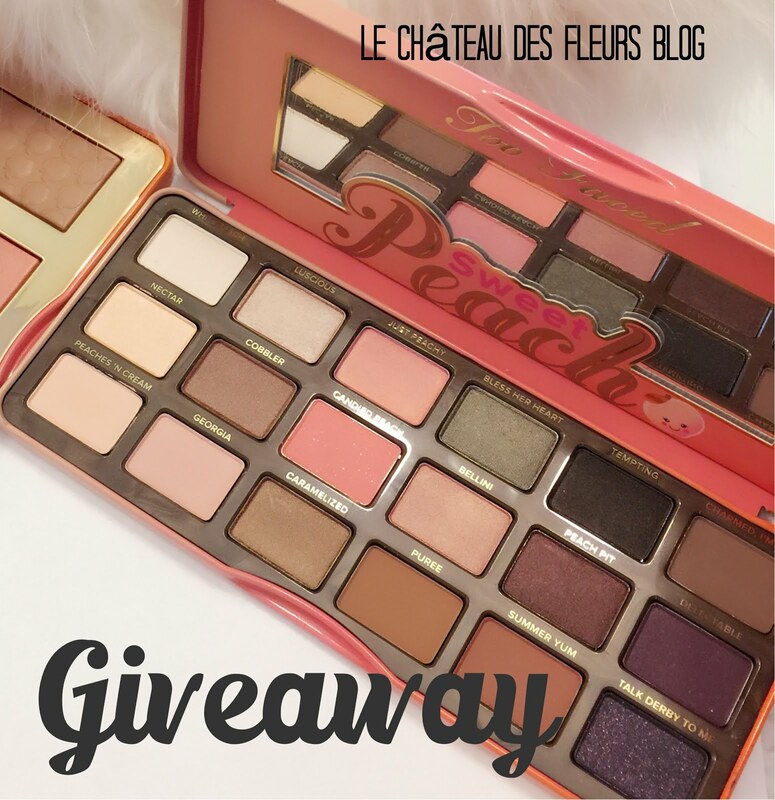 come visit and enter my first giveaway! Very beautiful flowers. I love the way you did the mosaic. Which software did you use? Gorgeous pictures. I think we were on the same thought train this morning! Lovely and lyrical post. Good morning. I could never pick...and the list is so long of the ones I adore. Self sagacity, i use photoshop but you can do it with flickr for free?. Kara, we have snow here too only the valley is starting to have flowers. Utterly gorgeous - tulips are my favourite flowers yet they seems rather ignored compared to the other flowers that people rave about. Gorgeous lush colours! HI, just want to let you know I awarded you the sunshine award! Bonjour, C'est moi, IvyJane. Ma fleur préférée est le pied d'alouette. Je voudrais parler de votre belle langue, mais je suis aide de Google Translate. I have been gone for awhile and have missed seeing your beautiful pictures and reading your latest ideas and creations. You have such great style, as well as being so beautiful. I bought a flower pot today and can't wait to decorate it like you have shown. Thanks for the information. Love your blog,I'm following and smiling. i don't think there is a more beautiful rose than a cabbage rose!!! you floral photos are just absolutely wonderful, oh if only I could shoot pics like this. Just beautiful hugs JoAnn just had a grandbebe born paris to my american army son and his fiancee.just gonna have to go visit paris asap!! Thanks so much for stopping by and leaving your sweet comments on my blog. I love flowers, no one favourite. The white orchid in your photo is a native of North Borneo. Was my dad's favourite, so it holds a special place in my heart. Those pictures are so beautiful. Great job! I would love for you to stop by my blog if you get the chance. God bless! Those pictures are so beautiful. Great job! I would love for you to stop by my blog if you get the chance. Thanks! My husband brings me bouquets of roses and I love to dry the heads or pull apart and dry the petals...then I photograph and make digital stuff with them. I'm visiting today for Three or More Tuesday...I'd love for you to come by for a visit when you have a moment. I love your n post. The flowers are so pretty. My favorite is the very first one! It looks like it should be in a magazine! I'm in Utah also, don't you just love living here? Beautiful pictures ... i just love having flowers in the home as well ... brings in such natural beauty ... i love the big cabbage rose! I love daisy's but I love the looks of that cabbage rose. It's beautiful. I have several favorite flowers but right now it's a peony. I have a peony bush in my yard and I cannot wait until it blooms. I think my next favorite are daisies. They are so happy, but then I love roses as well! Too many flowers to chose from! I think I like ranunculus. I'm not sure that I spelled it right. I love a good old-fashioned rose. I had some at my last house that smelled heavenly. They were beautiful, thorny, and only bloomed once, but it was worth it for their perfume! great photos...how nice to have such beautiful flowers around the house! I agree with the other Christy- a good camera does not make a good picture a certainty! Your flowers are lovely. I love love love lilacs. I know that is a bush but nothing says spring to me more than a lovey lilac bush in bloom. My camelia pictures are there, as well as others. I am learning how to make pictures with my new SLR and love it. Thanks for sharing yours!